I’m not really a “music guy.” I like music, and it’s a part of my daily life. But I can’t talk about it or analyze it the way a lot of other creative people do. It’s a language I don’t know how to speak. Come to think of it, I don’t have a lot of favorite bands. Lifehouse really spoke to me when I was in high school. I was an angsty, nervous, emotional kid. (Come to think of it, I’m an angsty, nervous, emotional adult too.) So I didn’t have a lot of friends. Their vulnerable and honest lyrics were always a comfort and an inspiration to me. On the other end of the spectrum was Linkin Park. There was a comforting and inspirational dimension to their music. But I listened to them when I felt anger, bitterness, and isolation. I don’t really relate to a lot of music. But I related to what I heard from them. These guys didn’t know me. But they knew something about what I was feeling. While I don’t consider myself a huge Linkin Park fan, I’ve followed them over the years. If I had to list my favorite bands, they’d be one of the first on the list. The news that Linkin Park’s lead singer, Chester Bennington, apparently committed suicide by hanging this week hit me in a really strange way. It’s a tragedy, of course. Suicide usually is. But there’s another, more personal dimension to it. There’s no fluid transition into this next statement. So I’m just going to go for it. I’ve thought about suicide over the years. Quite a bit, to be honest. I’ve never considered myself suicidal, per se. I’ve not once attempted to kill myself. I’ve also never been a cutter, or someone who self-inflicts. But the thought, the possibility, even the temptation, has maintained a place in my consciousness since I was in high school. It’s wrapped up in my anxiety, my depression, and all that fun stuff. Linkin Park was part of the soundtrack of my young life when I was first thinking about suicide. 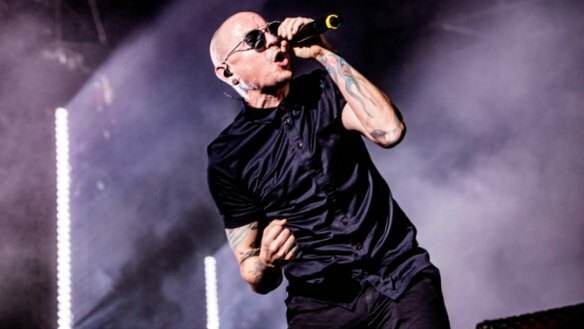 And now one of the voices of Linkin Park has committed suicide. So for me there’s a sad, vile, ugly irony in the whole thing. I feel a little bit like I felt when Robin Williams killed himself a few years ago. One of the creative forces I admired growing up was fighting some of the same demons I’ve fought. And he…succumbed? That feels like an insensitive word to use. But it’s the only one that comes to mind. The obvious question to ask is, why? Why would someone who’s had so much success and touched so many lives want to kill himself? I don’t have the answer. But as I was mulling this over today it occurred to me that a suicide generally only makes sense to the victim. It’s something the person rationalizes. What they’re feeling, be it physically or emotionally, has taken such a toll that suicide feels like a viable option. No one understands what would drive you to do something so terrible. But they can’t understand. They may love you. But they can never see the world through your eyes. They can’t know what you face on a day to day basis. I don’t look down on Bennington, or anyone else who has made the choice he made. I feel for them. I mourn them. It’s so incredibly tragic to believe that’s the only way out. What’s more, they leave their loved ones with their own terrible pain. When I think about the things that have kept me away from that abyss over the years, that’s something I keep coming back to. My loved ones. My wife. My parents. My family. The people I’ve been friends with over the years. I couldn’t do that to them. I couldn’t leave them to bear that burden. If you’re someone who’s staring into that abyss now, know that there are people in this world who love you and need you. I know it hurts. It’s agonizing. And at times it’s hopeless. But there is always another way. You deserve love, happiness, friendship, and all the wonders life has to offer. Please don’t rob the world of your gifts. 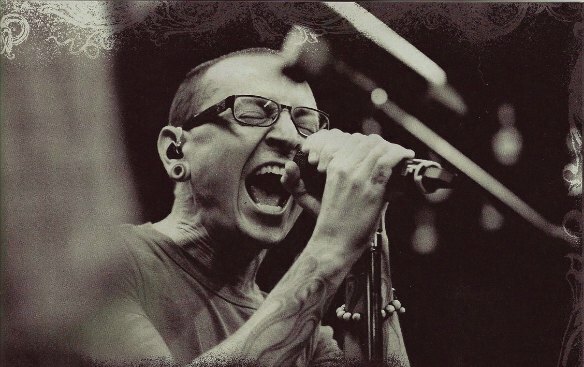 This entry was posted in Mental Health and tagged Chester Bennington, Chester Bennington dead, Lifehouse, Linkin Park, Mental Health, mental illness, music, Rob Siebert, Robin Williams, suicide on 07/21/2017 by primaryignition.